This was the second part on my stove top brew day on 01/03/15. This one was a 2.5 gallon batch. 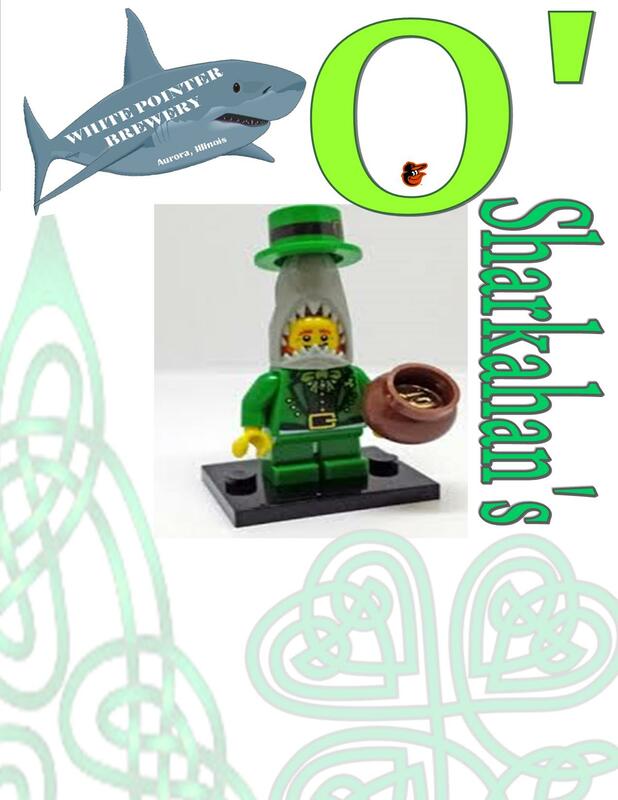 I really enjoy Irish Reds when I’m in the mood for an easy drinking low ABV malty beer, and in brewing terms, St Paddy’s is just around the corner so it’s time for the 2nd batch of O’sharkahan’s. This, like last year’s version, is a 2.5 gallon batch. While I do enjoy this style, I don’t drink it often enough to warrant a full size batch of it. A good Irish Red ale has a few characteristics that define the style. The beer is mostly malt forward, though it shouldn’t come off as cloyingly sweet and balance is important. You’re looking for some caramel flavors, some toffee flavors, and maybe a hint of roast, though the roasted barely is just primarily to get you that nice red color. A bit of English hop flavor is ok, but generally you want the malt flavors to be the star of the show here. 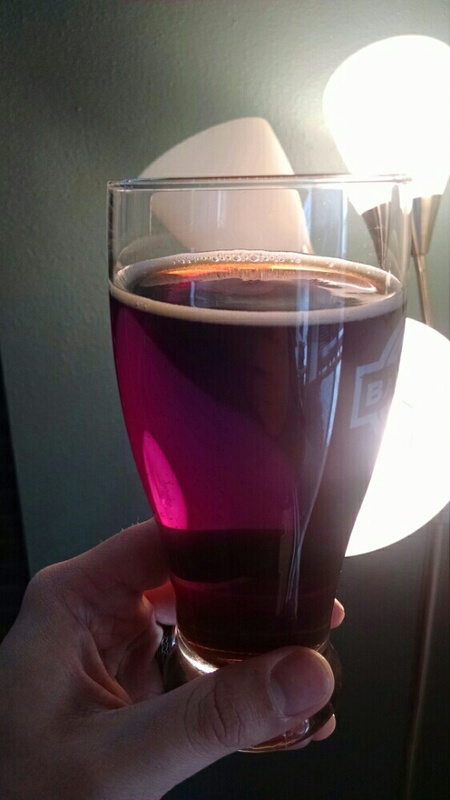 The color of the beer should be copper to deep crimson, and the beer should be clear. As far as yeast goes, you’ll want to use a pretty clean fermenting yeast, but some esters are acceptable and in my opinion lend a nice subtle fruity characteristic, but make sure not to overdo it as the beer should still be pretty clean. The style BJCP style guide says some buttery diacetyl character is ok in this style, but I’m not a fan, and that was my cheif complaint using the Wyeast Irish Ale in this recipe last year. I found the buttery taste to be distracting from the other elements of the brew. Most importantly, this beer should be a good easy drinking pub ale! I was mostly satisfied with last years version, though there were several areas for improvement. As stated above, I used Wyeast Irish Ale in last years version, and I wasn’t a fan of the buttery flavor it left, even fermented in the mid 60’s. Now, this was my fault since it even says on the package that the buttery flavor is a feature of this yeast, but I didn’t realize just what the finish product would be like. I’m sure that yeast would be good in a stout, but I decided to go with something cleaner for a red. I decided to use one of my favorites, WLP 007 Dry English Ale. When fermented in the low to mid 60’s, its a clean yeast, but gives just a bit more yeast character than something like Chico American ale yeast. Plus it clears pretty quick, and clarity is important to this style. To keep things simple, I cut Vienna malt and Fuggle hops from last years recipe, as well as dialing back on the crystal. I also wanted to lower the ABV into the upper 4% area. What I ended up with was a simple recipe that should highlight the best features of the style: an easy drinking ale made with good European base malt, mild English hops, and a nice deep red color produced by a small amount of Roasted Barely. The brew day was pretty easy. I started mashing this batch while I was chilling my batch of White Death DIPA that I brewed first. I mashed at 154 for an hour, sparged, and then boiled. It was nice not having a ton of hop matter to filter out of this thing going into the fermenter, especially after hovering over the carboy and scooping hops from a strainer for a half hour with my DIPA. This was just a nice simple batch to brew compared to some of the big hoppy brews I’d done recently. I took my hydrometer sample after I’d chilled the beer, and I came in a bit high at 1.054. I noticed my volume was a little low in the fermenter, so I added another quart of water to get me where I wanted to be at 1.049 OG. The hydrometer sample was decently clear, and it already had a nice flavor to it, so I actually have pretty high hopes for this one, and I anticipate it’ll be an improvement over last years. Bottling Update on 01/23/15: Bottled this one up today, and the beer came in at 1.009. That’s a bit drier than I’d have liked, but the hydro sample still tasted really good. Hopefully the beer will still have some body to it when its carbbed. Tasting Update 02/16/15: Sorry it took me so long to get around to tasting notes, but the time has given me a chance to have a few of these to form a solid opinion of the beer. Appearance: This ale pours a very deep crimson color with an off white head that dissipates quickly, but clings nicely to the edges of the glass. The beer is very clear when viewed with light behind it. The color is probably the only thing I’d change, it just turned out a bit too dark. If not viewed in a bright room with some light behind it, this beer almost looks like a stout. The good thing is the color, while dark, is a beautiful crimson color. My concern when trying to brew reds is to get that actual red color, and not copper or brown. Just a touch less roasted barley should do the trick for next time. Smell: This beer has a sweet malty aroma, almost like sticking your nose in a loaf of freshly baked bread. There’s a hint of floral hop aroma, and just a hint of fruity yeast esters, but the aroma is pretty malt forward. Taste: There’s a nice mild bitterness that is the first thing that presents itself, but that is immediately followed by a bread and biscuit like malt sweetness. There’s also some toffee and caramel notes too, but this had a very nice bread like flavor from the Maris Otter. There’s little in the way of hop flavor here, just a bit of floral and spice notes to keep the beer from being too sweet. There’s a very subtle ester fruitiness from the English yeast. Mouthfeel: The carbonation on this one is on the light side of medium, as is the body. This beer is fairly smooth and very drinkable, it would be easy to put a few of these away in short order. Overall: I’m very happy with this beer, it turned out just about perfect for what I wanted it to be. I’d prefer it was just a bit lighter, but the aroma and flavor are spot on for the style. This beer certainly won’t blow anyone away since Irish Reds aren’t the biggest or boldest beers in terms of flavor, but this beer will go great with corned beer and cabbage, or a night of drinking without wanting to get hammered, and that’s the goal. Next time I’ll dial back the roasted barely just a bit, and that’s about it! 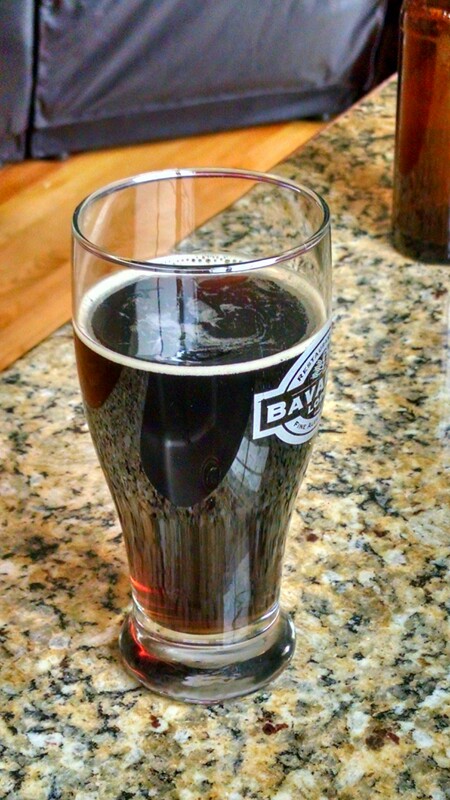 This entry was posted in Recipes and tagged Irish Ale, Malty Beer by White Pointer Brewery. Bookmark the permalink.